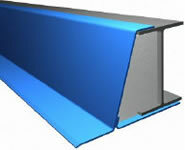 We offer a full range of cavity wall lintels, from light duty right through to super heavy duty. Click on the individual links below to download the details, options and installation guidelines (in PDF format). IMPORTANT NOTE REGARDING WALL CONSTRUCTION: All our lintels are selected by load capacity, not by wall construction like other manufacturers. For example; the CA10 is available to suit a wide range of wall constructions, but all the varations carry the same load! 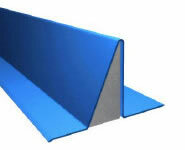 you simply add your wall construction to the lintel, eg: CA10-100/100/140. Typical specifications are listed in the PDF files. TIP: Use seperate Outer Leaf & Single Wall Lintels to enable the inner and outer of a cavity wall to be raised to different schedules! 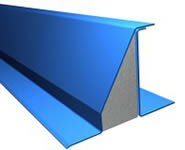 Cavity Lintels designed to carry heavy loads on the inner, such as roof truss loads or concrete floor loads. The masonry is built into the back of the lintel. Heavier duty than the CC Lintels, but still all stainless steel. They are also easier to build in since the inner masonry does not have to fit under a top flange. Their solid base plate means they can take high outer loads as well. If you want a lighter version of the CD25 instead of using a CC Lintel, we can fabricate the CD25 in lighter gauge steel! These lintels are built around standard structural I-Beams, giving great strength, but retain a full stainless outer to resist corrosion in the damp cavity and outer of the wall. 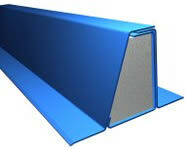 We can use even bigger structural sections to create lintels on request, but we find these cover most applications!